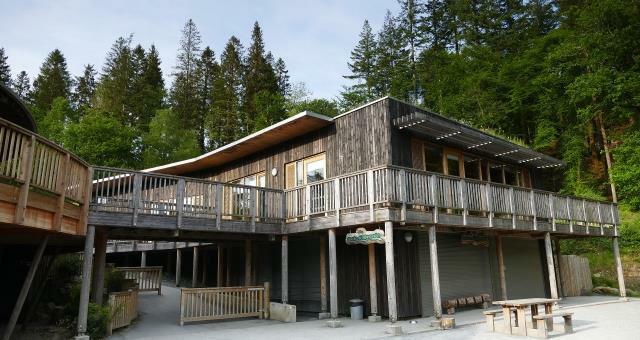 Tyddyn Gwladys at Coed y Brenin Visitor Centre (NRW)01341 440747workPicnic SiteThis is a car park with picnic tables under large trees by the rolling Mawddach River. Tyddyn Gwladys is the gateway to the 'Waterfalls and Goldmines' walk and MP3 audio trail. Download the trail onto your mobile phone to hear all about this valley's busy industrial past contrasting with the tranquillity of today. This is a car park with picnic tables under large trees by the rolling Mawddach River. Tyddyn Gwladys is the gateway to the 'Waterfalls and Goldmines' walk and MP3 audio trail. Download the trail onto your mobile phone to hear all about this valley's busy industrial past contrasting with the tranquillity of today. The OS Grid Ref is SH 734 262.